This week we celebrated the 60th anniversary of the Supreme Court decision outlawing racially segregated school in the United States. That ruling followed a long history of white Americans choosing to keep African Americans out of the schools attended by white children. It’s a shameful history and not one we want to remember, but fortunately at least we can be proud of the people who over the years took chances and tried to build an integrated education system. 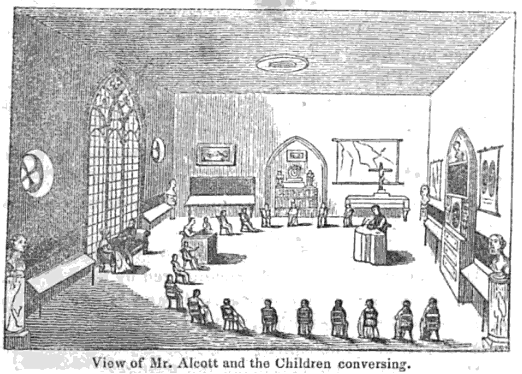 years ago, Alcott opened the Temple School in Boston. From the beginning the school caused scandal. Not only were the children encouraged to express their opinions without being punished, but Alcott answered their questions no matter how frank. Alcott’s assistants kept a record of the lessons and these reports were published so parents learned what was going on in the school. Many were shocked to discover that children were encouraged to talk about the Bible as though it were just a collection of stories. They even asked embarrassing questions about the birth of Jesus. Most parents and teachers expected children to accept Biblical stories with respect and without question. Alcott always questioned. Despite the unconventionality of the Temple School, some parents in Boston continued to send their children to it until Alcott went a step too far—he admitted a young African American girl, the daughter of freed slaves, into the school. That was so unconventional that soon Alcott was teaching only that girl and his own children. He was forced to close the school. It would be more than a century before the country was ready to admit that integrated schools should be the norm rather than an exception. Alcott lived at a time when people were questioning many of the accepted practices of American life. The 1840s were to the nineteenth century what the 1960s were to the twentieth century. The country was just emerging from the great depression of 1837, and many people wanted to try new ways of living and working. Forming communes where people could share their living and working skills? That was a popular notion and Alcott was friendly with George and Sophia Ripley, who started Brook Farm in Massachusetts. The idea was that everyone would share the work of the farm and the household so that each person would have time to pursue intellectual interests. Brook Farmers dreamed of milking cows in the morning, plowing fields and preparing meals in the afternoon, and then having time to write poetry and argue about philosophy in the evening. Brook Farm wasn’t quite radical enough for Bronson Alcott. He and his wife, along with his friend William Lane, took their daughters (including Louisa May Alcott, author of Little Women) and founded a commune called Fruitlands. There the family and the few members who joined them struggled to keep the farm without imposing on farm animals to labor at pulling plows—the men pulled the plows themselves. The group was strictly vegetarian and Abigail Alcott, Bronson’s wife, was forbidden to give their daughters milk from their only cow. Abigail resented that restriction, but she put up with it at least for a while. But farming without farm animals was extremely difficult and Bronson and Charles Lane spent much of their time traveling and giving lectures to raise money. The commune soon collapsed and Bronson and Abigail took their girls to Concord where they lived near Ralph Waldo Emerson. 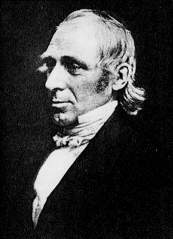 Bronson Alcott spent most of the rest of his life as a writer and lecturer, although he never was able to earn much money from these activities. His friend Emerson helped him financially and after his daughter Louisa May Alcott became a successful writer, she was the major support of the whole family. It is easy to laugh now at his eccentricities. Many of his ideas have been discarded, but his principles of education are now widely accepted. As Emerson and others realized, he was an influential figure whose conversations and friendships left a lasting mark on American life. 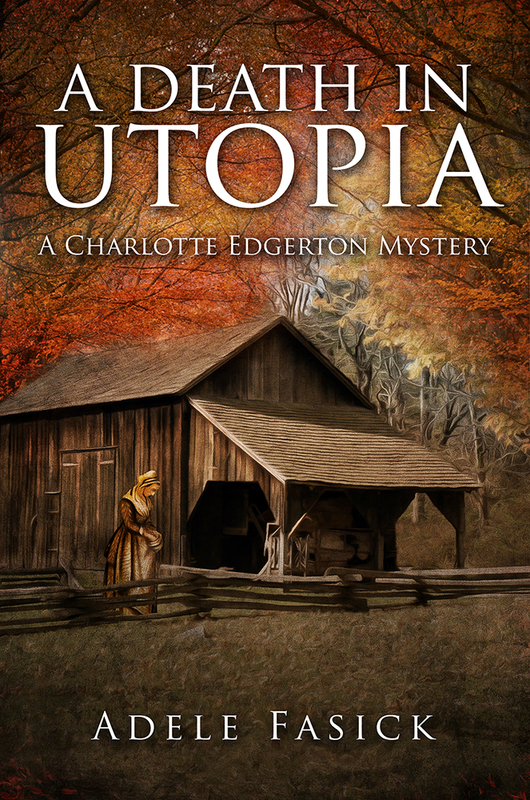 cameo appearance in my mystery story A Death in Utopia, which gives a fictional account of events that might have happened during the turbulent 1840s in Massachusetts. Yes, fascinating! It’s amazing to think how far ahead of his time Bronson Alcott was in some ways, yet also how complicated his legacy was; his family seems to have paid a heavy price for his visionary ideals. Wonderful post!